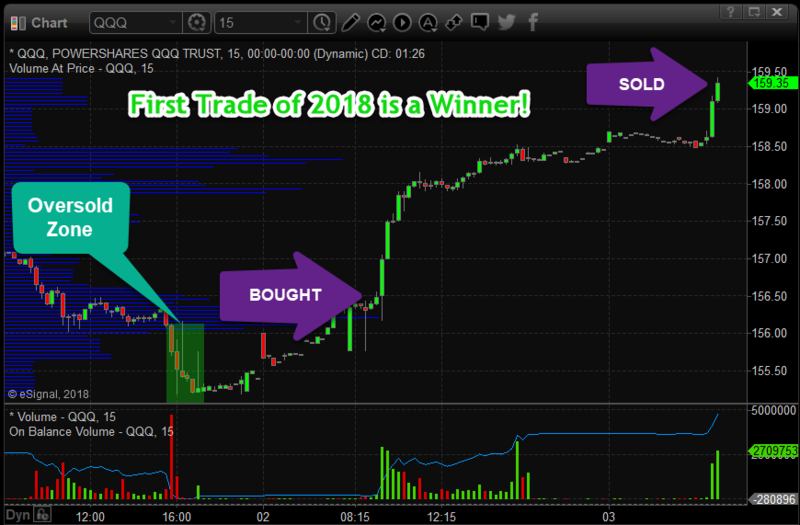 First Technical Trade of 2018 – QQQ – Technical Traders Ltd. The past week our forecasts have been dead on in terms of timing intraday tops, bottoms, along with oversold levels. The 30-minute chart of the SP500 index shows the two gap fills, oversold buying zones, and our recent forecast yesterday afternoon which was for a continued rally. Everything has played out as expected thus far. 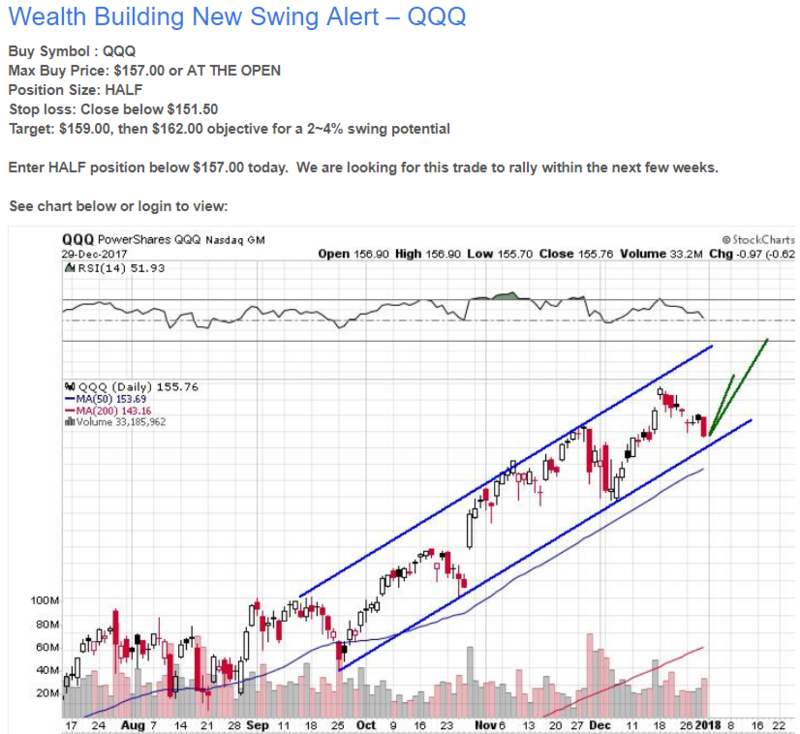 Subscribers of our Technical Trading Wealth Building Newsletter have already taken profits on our first trade of the year with QQQ. 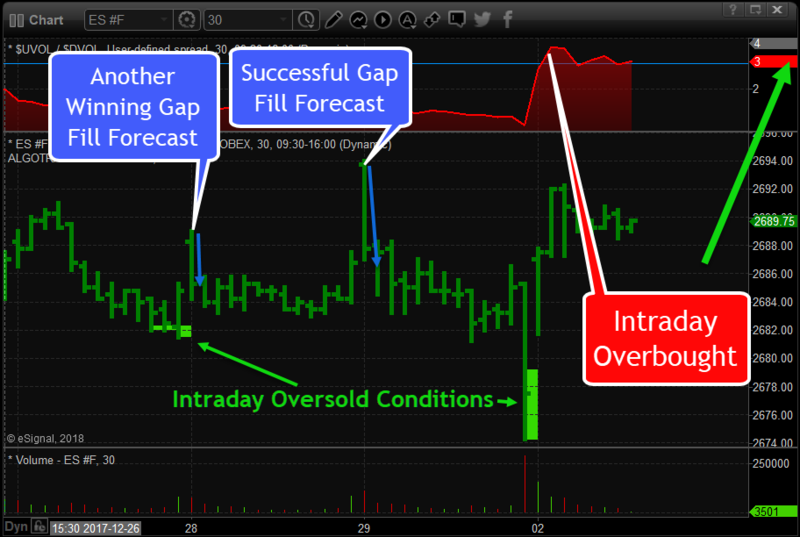 This trade setup was a no-brainer as it had multiple technical reasons to get long for an imminent pop/rally. Below is the recent trade issued to our group of traders. As you can see in the QQQ chart below the market gave us an oversold condition which we entered long the next trading session and have now taken partial profits for quick and easy money.